It is with sadness but acceptance that we come to terms with the passing of our Mom, Gramma and Great Gramma, Marlene Logan, at the Kelowna General Hospital on September 9th, 2018 at the age of 80. Mom was born in Upper Musquodoboit, Nova Scotia on July 3rd, 1938 to Carl and Ethel Whitman. Mom endured the passing of her parents Carl and Ethel, her husband and our Dad, Bill Logan, and her younger sister Paulette Whitman. Mom had an inherent zest for life and had the unique ability to draw people to her. Mom would open up her life to anyone who was willing to get caught with her infectious smile and laughter. She never judged and always had a close circle of friends wherever she lived. Born in Nova Scotia and raised in a rural farm community, Mom was a bit of a fighter and a tomboy. She could always be relied on to stand up for the underdog and always fought for fairness and would suffer in silence. This strong personality trait would help Mom in her later years as her health failed. At the young age of 18 years old, Mom had twins (Craig and Wade) and then 3 years later she rounded out her family of boys with Derek. She would spend the next 20 years fighting for her boys and making sure they understood and carried her values. As her boys married, Mom developed a strong bond and enduring love for the new daughters-in-law in her life. And as our families grew, Mom devoted her love to her grandchildren and great-grandchildren. The family lived up in northern Canada during the early years and Mom had a special spot in her heart for the northland, but it was the mountains that became the core of Mom’s passion. She worked in the B.C. forest industry for many years, tree planting, cone harvesting and timber cruising. Mom was never afraid of hard work. She loved the mountains, fishing, hiking, cycling, sunrises and sunsets. Mom loved her garden and would work tirelessly making sure her massive gardens were properly prepped, tended to and harvested with love, and shared with her family. Mom was an extraordinary cook and her pastries and meals were famous with friends and family. She is survived by her sons: Craig (Heather) Logan, Wade (Brenda) Logan and Derek (Glenna) Logan and a very special stepdaughter, Tanis (Lee) Searle; grandchildren: Aaron (Anne) Logan, Justin (Sarah) Logan, John Logan and Devin Logan; great-grandchildren: Ava and Arthur; and siblings: Beverley Fudge, Elliot (Sylvia) Whitman and Darrell Whitman (all of Nova Scotia); and many nieces, nephews and cousins. A Funeral Service will be held at 1:00 pm on Friday, September 21st, 2018 at Springfield Funeral Home, 2020 Springfield Road, Kelowna, BC, followed by a Celebration of Life at 2:00 pm at the Chartwell Chatsworth Retirement Residence, 1831 Parkview Crescent, Kelowna, BC. The family would like to extend a sincere thank you to the doctors, nurses and staff at the Kelowna General Hospital for their passionate and sincere care of Mom during her last days, and to Mom’s friends and the staff at the Chatsworth whom were so near and dear to her heart. 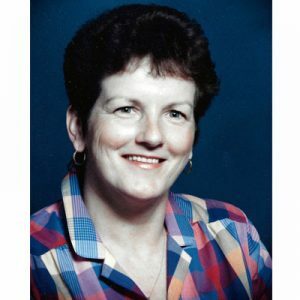 In lieu of flowers, should friends and family so desire, memorial donations may be made in Marlene’s name to the Heart and Stroke Foundation, www.heartandstroke.com. The service for LOGAN, Marlene Faye is scheduled for Friday, September 21, 2018 at 1:00 pm. Below you will find the map for the service location and the contact information should you have any questions. Celebration of Life to follow at 2:00 pm at the Chatsworth, 1831 Parkview Crescent, Kelowna. We loved our Aunty Mar, her vibrant personality and laugh will stay with us forever. Rest in Peace .Love and Condolences to all the family Love Carol. I have received messages from near and far from school friends and folks we shared hilarious events with during our growing-up years. My memories of my sister will always be with me . Was so happy to be able to share some of them with family when celebrating the big 80 in July ! Please accept our condolances from our family to yours on the passing of Your Mom, Marlene .